The War on Drugs is an American indie rock band from Philadelphia, Pennsylvania. Band member Adam Granduciel (born Adam Granofsky in Dover, Massachusetts) moved from Oakland, California to Philadelphia in 2003, where he met Kurt Vile and began playing music with him. They began playing as The War on Drugs in 2005, and self-released a demo EP. While Vile and Granduciel formed the backbone of the band, they had a number of accompanists early in the group's career, before finally settling on a lineup that added Charlie Hall as drummer/organist, kyle lloyd as drummer and Dave Hartley on bass. Band member Adam Granduciel (born Adam Granofsky in Dover, Massachusetts) moved from Oakland, California to Philadelphia in 2003, where he met Kurt Vile and began playing music with him. 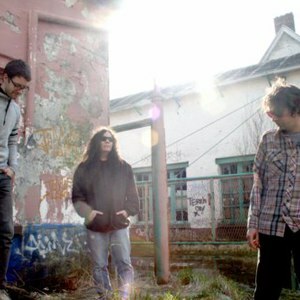 They began playing as The War on Drugs in 2005, and self-released a demo EP. While Vile and Granduciel formed the backbone of the band, they had a number of accompanists early in the group's career, before finally settling on a lineup that added Charlie Hall as drummer/organist, kyle lloyd as drummer and Dave Hartley on bass. Granduciel had previously toured and recorded with The Capitol Years, and Vile has several solo albums. The group gave away its Barrel of Batteries EP for free early in 2008. Their debut LP for Secretly Canadian, Wagonwheel Blues, was released in 2008. Reviewers of the band's music make note of its Americana overtones. The group's sound has been described as influenced by Bob Dylan, Bruce Springsteen, and My Bloody Valentine. The lineup underwent several changes, and by the end of 2008, Kurt Vile, Charlie Hall, and Kyle Lloyd had all exited the group. Granduciel and Hartley were joined by drummer Mike Zanghi as the group slimmed to three members.